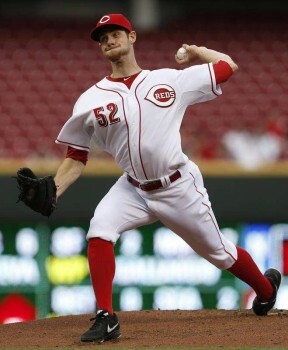 Tony Cingrani will now have to mow down AAAers. Tony Cingrani did a most admirable job filling in for Johnny Cueto while our ace was on the DL. In 6 starts he went 2-0 with a 3.27 ERA. Among the starting pitchers, that ERA was bested only by Mat Latos (who had an unholy April) and the man whose spot he was taking. His 1.2 Ks per inning pitched led the squad. Unfortunately for Cingrani, he’s 23, needs to work on his secondary pitches, and had a pretty rough outing against the Phillies just yesterday. So, with Cueto poised to take back his spot in the rotation, Cingrani was optioned to Louisville today. Soto is batting .269/.310/.388 with three homers and 16 RBIs in 33 games. He has played 18 games at first base but has been developing his skills as a third baseman, where he’s played 16 games. It’s hardly a fair comparison, but those numbers are better than what Todd Frazier has put up so far this season.